Bob Dylan's song A Hard Rain's A-Gonna Fall - analysis of, interpretation, musical roots etc. ¶ 3 Leave a comment on paragraph 3 0 Pete Seeger was organizing a folk show at Carnegie Hall in 1962, which was to included the young Bob Dylan. The show would be the biggest of Dylan’s career. They had too many performers, so Seeger announced that each performer would be limited to three songs with no performer playing more than ten minutes in total. Dylan raised his hand and asked what he should do since one of his songs was ten minutes long. Clearly, Dylan was doing things differently. ¶ 5 Leave a comment on paragraph 5 0 All I know is that afterward I had to get out of the club. I couldn’t speak – to Bobby or anybody else for that matter. I remember being confused and fascinated that night because, on one hand, the song itself excited me, and on the other, I was acutely aware that it represented the beginning of an artistic revolution. ¶ 6 Leave a comment on paragraph 6 0 Hard Rain is that kind of song. ¶ 8 Leave a comment on paragraph 8 0 The Symbolist movement started in France in the late 19th century, a reaction against the popular Realism of the day. The Symbolists stressed the idea that art should describe inner reality; literature should emphasize the musicality of the words. ¶ 9 Leave a comment on paragraph 9 0 The Symbolists – Arthur Rimbaud, Stephane Mallarme, Paul Verlaine, and others – were enormously important to the entire world of art. They influenced the work of W.B. Yeats, Ezra Pound, T.S. Eliot, and Wallace Stevens, just to name a few of the major poets. Their style was also influential in both theater and painting. ¶ 10 Leave a comment on paragraph 10 0 It also influenced Dylan. Hard Rain is full terrific images and phrases they tickle the ear. “A highway of diamonds with nobody on it”…”ten thousand miles in the mouth of a graveyard”…”ten thousand talkers whose tongues were all broken”… Tim Riley 1 calls it a “surrealistic downpour” and “expressively untamed writing”. ¶ 11 Leave a comment on paragraph 11 0 There’s a lot of alliteration. “twelve misty mountains”… “seven sad forests”… “ten thousand talkers”… “guns and sharp swords”… “one hundred drummers”… “sound of a clown”… There’s a lot repetition: the mothers questions – where have you been/seen/heard/will do? the son answers – “been” is repeated twice, “saw” seven times, “heard” seven times, “met” six times, “where” six times. There’s more repetition in the chorus: “it’s a hard, it’s a hard, and it’s a hard, and it’s a hard”. ¶ 12 Leave a comment on paragraph 12 0 Dylan borrowed the question and response pattern from Child Ballad No. 12 Lord Randal. ¶ 13 Leave a comment on paragraph 13 0 Todd Harvey notes that the melody is unique to Dylan, unlike many early songs that were derived from traditional songs. ¶ 14 Leave a comment on paragraph 14 0 Dylan scholar Stephen Scobie 2 notes that the narrator in Dylan’s many songs, such as this one, often players the role of a prophet. There are many examples of this: Jokerman, When the Ship Comes In, All Around the Watchtower,and many others. ¶ 15 Leave a comment on paragraph 15 0 Dylan claimed in an interview with the Sheffield University Paper in May of 1965 that he wrote Hard Rain in a couple days. The song was recorded for Freewheelin’ in one take. It’s a wonderful performance, full of strength and insistence. ¶ 16 Leave a comment on paragraph 16 0 Two live performances of note: the song was performed at the Great Music Experience, in Naira City, Japan, 1994, with the Tokyo Philharmonic Orchestra. Dylan singing with an orchestra sounds bad on paper, but it worked out beautifully. ¶ 18 Leave a comment on paragraph 18 0 My personal favorite, however, is Dylan’s performance of the song at George Harrison’s Concert for Bangladesh in 1971. 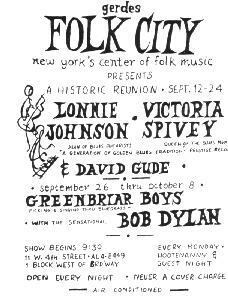 Dylan, who hadn’t performed in public for several years, reportedly wheeled in for the show on his bicycle. Dylan starts the song off rather quietly and slowly builds it to a dramatic and powerful conclusion. The close-up camera work effectively adds to the emotional impact of the performance. ¶ 20 Leave a comment on paragraph 20 0 Bootleg Series Volume 7 live version. ¶ 23 Leave a comment on paragraph 23 0 Tom Paxton reminisces on the creation of Hard Rain Is Goin’ to Fall. ¶ 25 Leave a comment on paragraph 25 0 Baez’s version, featuring her dead-on Dylan impression. ¶ 27 Leave a comment on paragraph 27 0 Pete Seeger, including an interesting introduction. ¶ 29 Leave a comment on paragraph 29 0 A nervy version by Bryan Ferry. ¶ 35 Leave a comment on paragraph 35 0 Oh, where have you been, my blue-eyed son? ¶ 36 Leave a comment on paragraph 36 0 Oh, what did you see, my blue-eyed son? ¶ 37 Leave a comment on paragraph 37 0 And what did you hear, my blue-eyed son? ¶ 38 Leave a comment on paragraph 38 0 Oh, who did you meet, my blue-eyed son? ¶ 39 Leave a comment on paragraph 39 0 Oh, what’ll you do now, my blue-eyed son? Dylan did say in that interview: “I’ve read his (i.e. 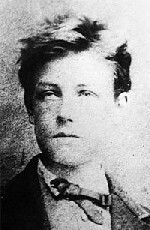 Rimbaud’s) tiny little book ‘evil flowers’ too.” But “Les Fleurs du Mal”, 1857, English translation: ‘The Flowers of Evil’ was written by Charles Baudelaire. You cannot mention the Symbolists without mentioning Baudelaire. Otherwise great website, great overview of the facts behind the songs. Great catch! I noted this fact in the text.